Having done so much racing and travelling recently it was time to readdress my aerobic base before the next round of World Cups and travels. But how do you get a good training hit that will help you carry form till September with only 2 weeks between nationals and World cups? I decided to take a gamble on stage racing. Doing the BC Bike race last year had worked so well for my July-September races that I felt a mini-stage race might do the trick. Singletrack 3 , a transrockies event, was being hosted in my region of BC this year. Keith was already registered for their 6 day event so I figured I could get in a solid training block …and some fun… with the 3 day event and still have sufficient time to recover for the MSA World cup. I am so glad I did. Although I live within 1.5hrs of all the stages I raced, of the 120 km of trails we did over 3 days I had only ever seen 20 km of them before. 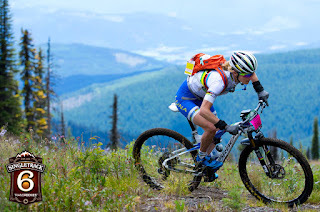 The first descent we hit in Salmon Arm had me smiling ear to ear knowing I could easily come back to ride it again. 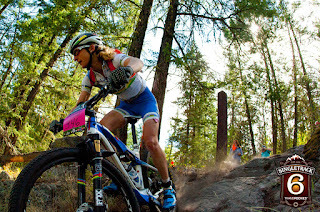 Each day offered superb trails, marking and race organization and so much fun. 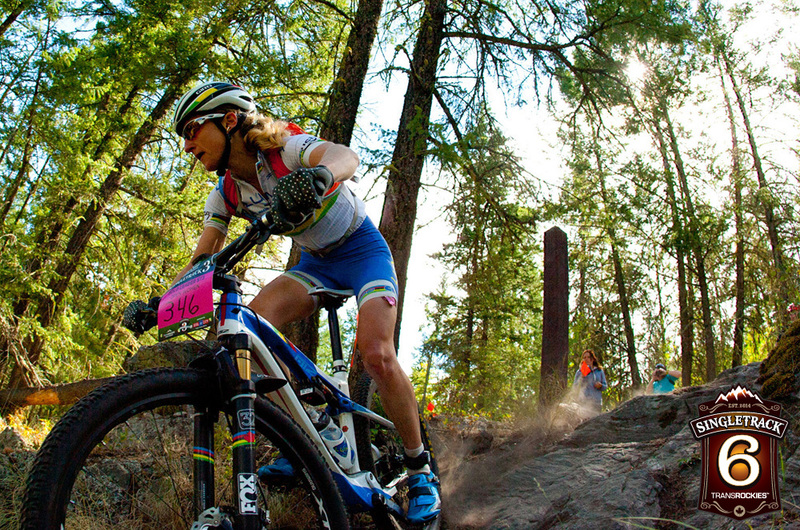 What I love about mtb stage racing is the community feel. From the first night where we pulled into camping to see familiar faces already set up, to meeting riders during the race and hanging out rehashing the day afterwards, everyone had such great energy and excitement for the adventures that lay ahead with each stage. The stages were pretty short (ideal in my mind), my longest day being just over 2.5hrs of trails and each day had a timed descent where we could focus on putting out a best effort. I was happy to make the top 20 overall on the timed descents, even better placings than my overall stage results. Day 1 was Salmon Arm, Day 2 Silverstar mountain at 1600+m and Day 3 an epic 1.5hrs of hard switchback climbing to a 1200 m descent. Needless to say it was awesome. Living out of the van with Keith, sharing an adventure every day with friends and getting in some good training was the perfect summer training block for me. I definitely see more mtb stages races in my future and was sad to stop at only 3 days of racing, but also excited to head to MSA for the World Cup.